There are many different styles of yoga, and choosing the right style of yoga can be overwhelming for runners, particularly when there aren’t any Yoga for Athletes classes offered in your area. Some styles of yoga will give you a great workout, whereas others are easier on your body and can focus more on breathing and mental focus. 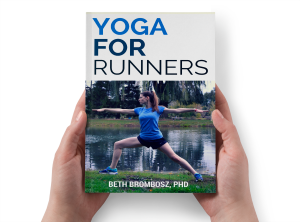 My hope for this article is to walk you through the best styles of yoga for runners, with emphasis on the styles of yoga you should try depending on your needs. So, let’s take a second to talk about cross training. Running coaches and experts have two definitions of cross training. There’s a broader definition—any physical activity that helps you build strength or increase your aerobic capacity, both of which will help you run longer and faster. But, some coaches are stricter with their definition. They only see cross training as activities that move your body like running would, and that primarily work the running muscles. This definition of cross training only includes activities where you’re moving your body in a front-to-back motion (in the saggital plane). To them, the only true cross training activities for running would be things like cycling and pool running. Yoga doesn’t really fall under that second, stricter definition of cross training. You could choose poses that only involve moving your body front to back, like stepping forward and back into and out of lunges. That’s not really getting the most out of yoga. But, yoga definitely falls under the first, broader definition of cross training. It will help you build strength, and some classes can really get you moving, too, helping you build aerobic fitness. If you’re looking for a yoga class that can help you build strength while getting your heart pumping, a fast-paced vinyasa yoga or power yoga class might be exactly what you need. These tend to be the styles of yoga that runners gravitate toward because they usually feel like you’re getting a workout. Vinyasa and power yoga are some of the best styles of yoga for runners who are looking to strengthen stabilizing muscles to help reduce injury risk, too. Runners tend to have tight muscles, particularly in the legs and hips. They also have the tendency, in my experience, to push themselves into every pose, even if their bodies aren’t ready for them. (Sorry, runners, but it’s true.) Many runners are pretty Type A, and they see advanced poses as a challenge to be conquered, instead of taking a step back to figure out what their bodies need the most. The best styles of yoga for runners take this into account. It’s a good idea to try a style of yoga that uses props to help you find the right alignment, such as Iyengar yoga. It’s important to make sure that you follow certain alignment principles, like stacking your joints to protect them. Styles of yoga that focus more on alignment will help you learn how to adjust the pose to fit your body, based on your unique structure. You may also want to give Viniyoga a try, which also focuses on adapting yoga poses to fit each person’s body. Speaking of tight muscles, many runners want to get into yoga to become more flexible. They feel in their bodies that those tight muscles are uncomfortable. And, they know how much better they feel after a good stretch. I know I hear from my students and followers that they really want to build flexibility. There’s a good chance you want the same thing from your yoga practice. To build flexibility, slower paced classes that allow you to spend more time in a single pose are wonderful. When you hold a pose for several breaths instead of quickly moving from pose to pose, your body has more time to open up. Slower classes will also teach you to use your breath to help lengthen tight muscles, breathing techniques that you can also use during difficult runs. Keep an eye out for gentle Hatha yoga classes in your area, which are also great for learning basic yoga poses at a slower pace. Heated classes can also be great for improving flexibility. The heat from the room helps warm your muscles quickly, and warm muscles are easier to stretch. Just be mindful that you’re finding a nice, comfortable stretch and not pushing yourself too far. (Yes, runners, I know you push yourselves hard.) When it comes to stretching, less can be more…and it can protect you from getting injured by over-stretching. Looking for a one-two punch to really build flexibility fast? Try foam rolling before heading to your class. The foam rolling (or any type of self-massage) helps loosen up adhesions in your muscles that limit flexibility and mobility. Just be careful not to stretch too far. Easy does it! Running is very stimulating—running hard gets your heart pumping and your adrenaline flowing. It’s a great idea to even that stimulation out with some more relaxing activities, like Restorative Yoga or Yin Yoga. These styles of yoga hold poses for several minutes at a time, allowing your muscles and connective tissue to release. If you’re working to build flexibility, these classes can be great because often that connective tissue and fascia are (at least partially) limiting your flexibility. Restorative Yoga and Yin Yoga are also some of the best styles of yoga for runners who can’t seem to let go and relax. I’ve found they’re the hardest mentally because your mind starts to wander as you’re staying still. But, working through the urge to let your mind wander is great practice for controlling your thoughts, a skill you can use during races and tough runs. Practice makes perfect, and the more you try it, the more you’ll learn how to slow down and enjoy your restorative and yin classes. Finding the best styles of yoga for runners is just the first step. If you really want to find a yoga class that fits your needs, you’ll want to find the right teacher, too. Even within a studio, teaching styles can vary greatly. A yoga studio or gym may offer different types of classes, too. Looking at a studio’s schedule, you might find basics classes, all-levels classes, restorative classes, and more. 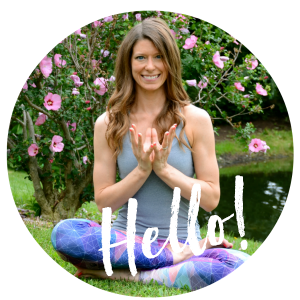 So how do you find the best class for you and your needs as a runner and a yogi (person who practices yoga)? First, call the studio or gym you’re thinking about going to. Ask them about their classes and their philosophy. What style of yoga do they teach? Do they offer a lot of modifications and advice for using props, or are students expected to know what to do? Do they offer special workshops for beginners to help them get used to terms and to learn how to use props to modify poses? Do they even offer special classes for runners or athletes? Once you’ve found a gym or a studio you want to try, it all comes down to checking it out! If it fits your schedule, I really recommend heading to a basics or beginner’s class. These classes are usually taught at a slower pace with more cues and help figuring out what that class or style of yoga is all about. But, you can still do well at an all-levels class at many studios. Just arrive a little early and sit toward the back, so you can follow more experienced people in the class if there are poses that are new to you. I definitely gravitate to Yin yoga because I need to be relaxed and stretched as much as possible! Love my weekly yoga sessions! I do vinyasa 2-3 times per week. Recently my instructor offered a yin series, and I loved it! I wish she would do those classes more often. I do some yoga poses on my own at home as part of my pre-run stretch routine. Can’t say enough how beneficial yoga is for runner’s body and mind! I like them all! That’s the best thing about yoga, there’s a style to fit your needs and mood. I have my own routine that I do–it’s a vinyasa flow– but it’s my favorite. I change it up everytime I do it, tho! Is Blocks can be used for several things during yoga? can i use blocks to rest your chin on, instead of straining trying not to touch the floor? Hi Jenica! Definitely never strain to get into any stretch or yoga pose. If you’re trying to support your head, I’d actually recommend a block under your chin or chest instead of your chin. A block under your chin could crank your head up, putting pressure on your neck. Hope this helps! This is so helpful! I’ve often wondered which “type” of yoga is right for me. Totally agree about heated classes in the winter–they’re the best! I need to be more disciplined with yoga….my hips need work! It’s constant for runners, too! Like, if you don’t keep up on your hips, they’ll get super tight FAST!